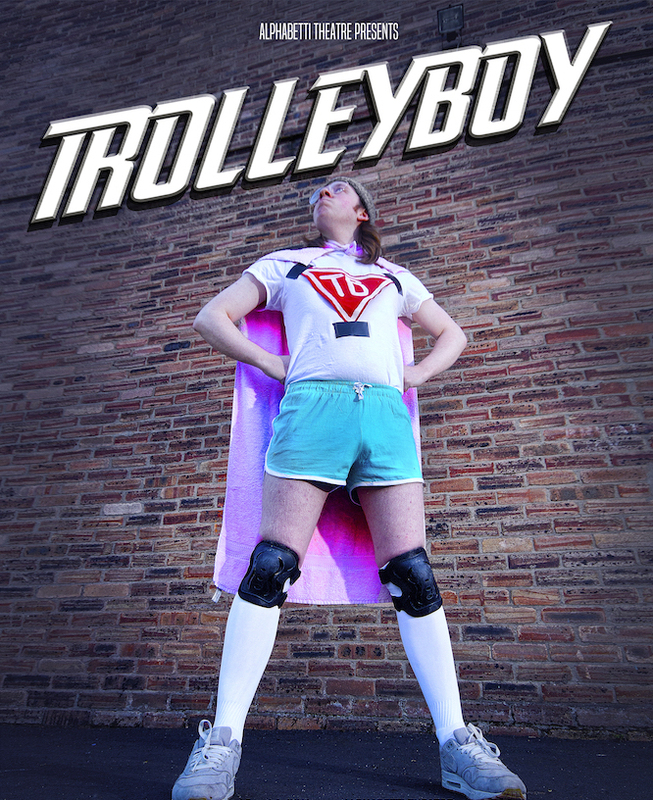 Ladies and gentlemen, behold Trolley Boy! helpless and safety to the... not very safe. hears: despair in the bungalows, panic in the flats. But fear not. Trolley Boy fights for justice. Alphabetti Theatre brings their latest production, Trolley Boy, to the North East this July. Written by David Raynor and set in Washington, Tyne and Wear in the early 90s – directly inspired by David’s own Washington upbringing - Trolley Boy is the story of a teenage boy trying to come to terms with loss. one thing left to do: become a superhero. The play has been developed over a 3 year period, supported by Alphabetti Theatre’s Literary Department, and has previously been performed as a script-in-hand performance at Alphabetti Theatre’s basement venue in 2016. The current production is supported by Arts Council England. Following the performance at Arts Centre Washington on Thursday 19th July, the audience and members of the Washington and North East community are invited to attend a post-show symposium to discuss: Washington – 30 years and counting. This symposium will look at how the social and urban landscape of Washington has changed since the Development Corporation closed in 1988, using the play as springboard for the discussion.